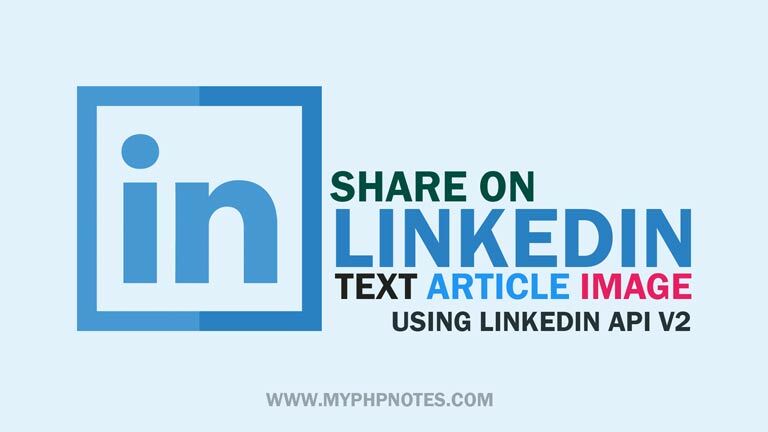 Some time ago we have posted a tutorial on Share on LinkedIn which is using LinkedIn API v1. As Linkedin API v1 is now deprecated, here is another tutorial using LinkedIn API v2. LinkedIn API v2 is more robust and professionally written than that of v1. LinkedIn API v2 allows complete image uploads to the user profile which LinkedIn API v1 doesn't. The videos for this tutorial series is provided below along with the source code of the project itself.